Happy Tuesday! 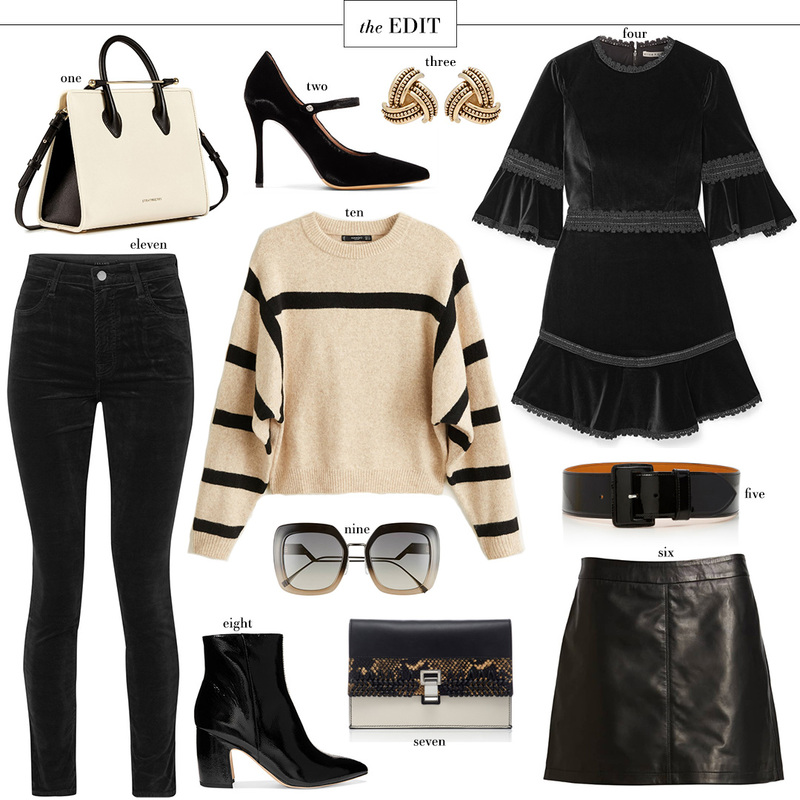 What’s not to love about this week’s EDIT? We’ve got velvet, neutrals, fun accessories… I kinda want everything. While some of the items are on the pricier side, some are actually pretty reasonable! The sweater is under $100, the boots are $160 and the leather skirt is $175! These items are all great basics you can wear all season long. I actually just bought this bag in another color (more on that soon!). The purchase was inspired by Meghan Markle, which if you’re following me on Instagram you know I have a HUGE announcement related to her coming to you tomorrow! I’m also going to start working on The Vail Itinerary for A Detailed Destination later this week, so lots going on in addition to the regular old blog stuff! I hope your week is off to a great start, and stay tuned for tomorrow’s big news! Oo I love #10! That sweater is so good! Please share more on the bag! Maybe on Instastories? I have had my eye on this brand ever since Meghan carried one.